Develop your English teaching skills and build your TESOL career in the Asian hub of Australia's largest tertiary institution. RMIT Vietnam, the largest offshore campus in the world, is seeking applications from suitably qualified English Language Educators, to join our School of Languages and English in RMIT Ho Chi Minh City and Hanoi campuses in 2019. 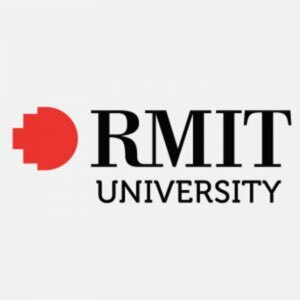 RMIT Vietnam is the Asian hub of Melbourne-based University RMIT - Australia's largest tertiary institution. RMIT Vietnam is the largest offshore campus in the world with three campuses based in Saigon, Hanoi and Da Nang. The RMIT Vietnam School of Languages and English is endorsed by NEAS, Australia’s English Language Training quality assurance scheme and offers a range of programs designed to support students’ English language development, at any level, from higher education or IELTS preparation to supporting and developing their careers. - Competitive hourly rates ranging from $28.50 – $37.00 USD [gross] per teaching hour (based on qualifications and experience). - Ongoing professional development and mentoring. - World class teaching facilities and resources. - Regular opportunities to progress from hourly rate to full time member of staff. - Free access to on-site international medical centre and private health insurance. - Saigon: On-site gym and recreational facilities, including tennis courts and sports fields. - On-site world class Library and free access to RMIT Melbourne online library. - Ideal location with an abundance of accommodation, shops, restaurants, cafes and supermarkets in close proximity to campus. - Support and guidance with Visa, Work Permit, and Residence Card processes (and reimbursement for reasonable costs). - The majority of the School's courses run for 20 hours a week for 10-12 weeks, Monday to Friday, 8am to 6pm. Evening and weekend work is also available and schedules could be a mix of weekday and weekend work depending on needs and teachers’ availability. - At least 3 years of cumulative teaching experience in a similar role (formally supported by a statement of service). - A recognised international qualification in teaching English as a foreign/second/further language (such as CELTA or equivalent). Work Permit requirements are subject to change. RMIT Vietnam will support preferred candidates with the Work Permit application process but reserves the right to rescind a job offer if required documentation is not provided by the candidate within a reasonable timeframe.